We know it can be intimidating to visit a new church. That's why we want to answer your key questions before visiting to help make you feel more comfortable. We hope this information helps you, but feel free to contact us with any other questions you have too. Our service is 90 minutes in total. This includes a time for church announcements, 4-5 worship songs, and a sermon delivered by one of our pastors. 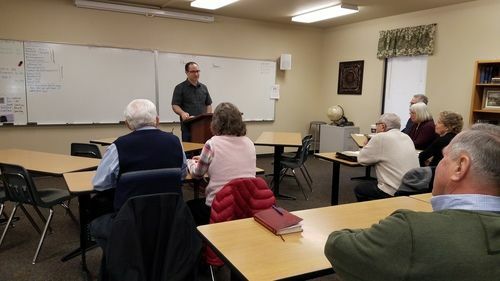 Our church is committed to Bible teaching and will typically go verse by verse through a passage of scripture--helping you understand and apply it to your life. Our music style could be described as a mix of contemporary and traditional. Our greatest desire is that you will be led into a time of Christ-centered worship through music. This means our style is not performance based. Instead, we strive to invite everyone to enter into worship with their own voice. We have a children's ministry during our church service for kids birth-5th grade. All children should be checked in prior to service using our digital KidCheck System. Volunteers are always available to help get your kids checked in. Infants and toddlers go directly to their classrooms--Kindergarten through 5th grade are dismissed in service prior to the preaching. Our church has no designated dress code. You will likely see people dressed in suit jackets and others in T-shirts and flip-flops. We encourage you to wear whatever is most comfortable for you. Our church parking lot is quite large. You are welcome to park in any available space you may find. We do have some handicapped parking available as well. Feel free to drop your family off in front of the Worship building for ease of transportation. We like to welcome every new guest with a free gift. Be sure to stop by our Welcome Center in our church lobby. Your gift will be waiting for you on the counter. We will also have one of our elders available should you want to speak with anyone about our church. Every Sunday we hold our main service in our Worship Center. As you enter, you will be greeted by one of our volunteers. You will also see a "Welcome Center" with one of our elders. 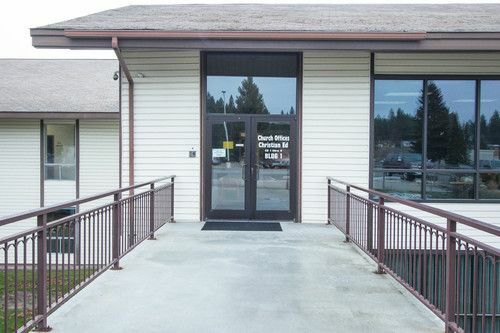 Our Welcome Center is designed to be an easy place to find answers to any questions you may have about our Church. Lastly, as you enter into our seating area you will find our children's check-in. We have a digital check-in system for all our kids, infants-6th grade. Be sure to check you kids in before service. Volunteers are always available if you need any assistance. 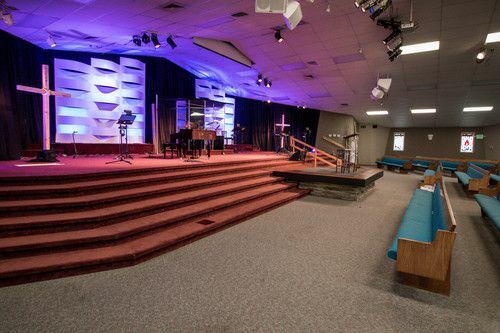 On the lower-level of our worship center you will find a number of different rooms related to our Sunday Service. 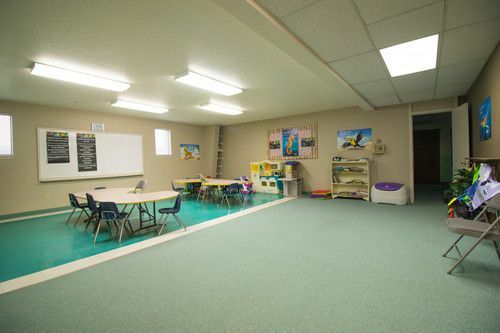 First, we have our Nursery and Children's ministry class rooms. 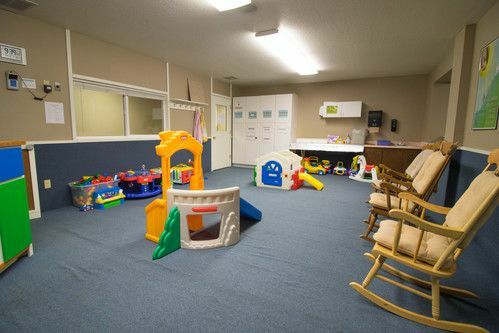 Our Nursery is for children ages 0-2 and our children's classroom is for grades K-2nd. There is also a New Mom's room that provides a little more privacy for you and your little one. Our service is streamed Live into our New Mom's room, so you can still engage in our preaching. 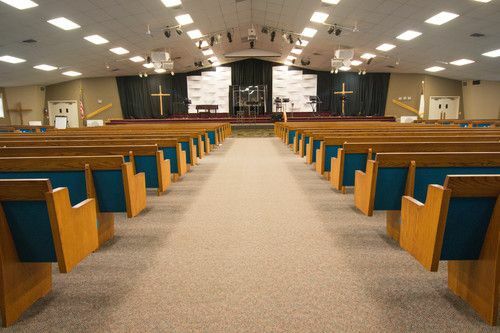 Lastly, we have a Fellowship Hall that is used for large meetings after church or during the week. 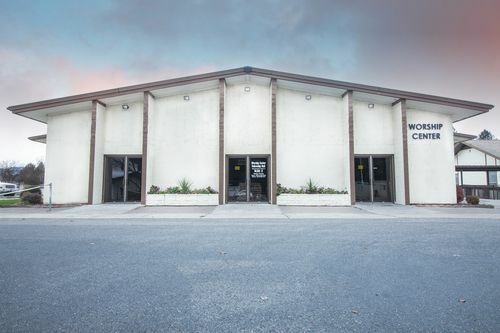 Our Business Building is home to all our offices for our administrative and ministry staff, as well as our pastors. 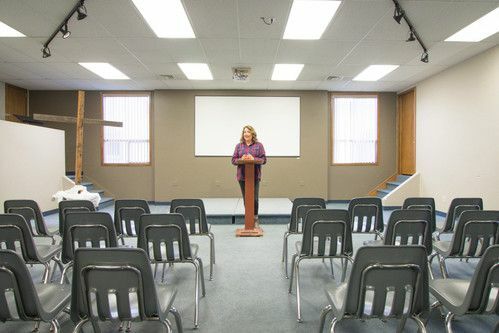 You will also find two rooms that are used regularly for many of our midweek ministries. First, there is CE1 which is located directly to your right as you enter our business building. 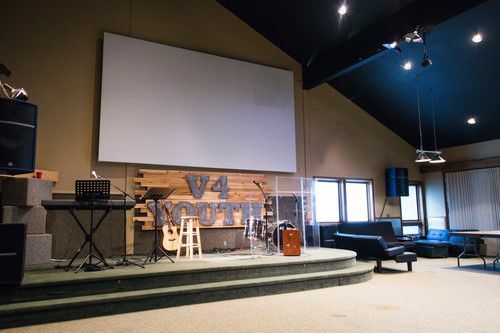 This room is used to house our Student Ministry, Men's Ministry, and Women's Ministry each week. Down the hall you will find our CE3 room. This room is primarily used for our children's ministry for AWANA and on Sunday morning for Children in grades 3rd-6th during our church. 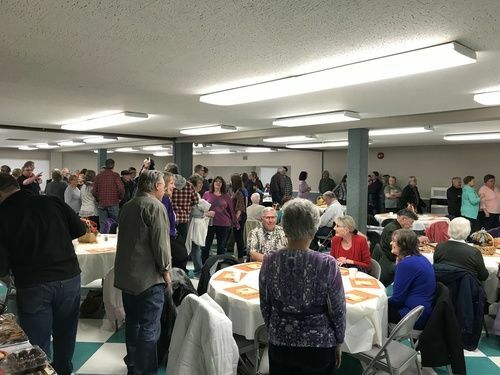 We have a full Gym on our campus that we sometimes use to host large Church events--whether it is our annual Harvest Party or a fundraising auction for one of our Short Term Missions Teams. Our Children's Ministry and Youth Ministry also use the Gym for a variety of activities or games. 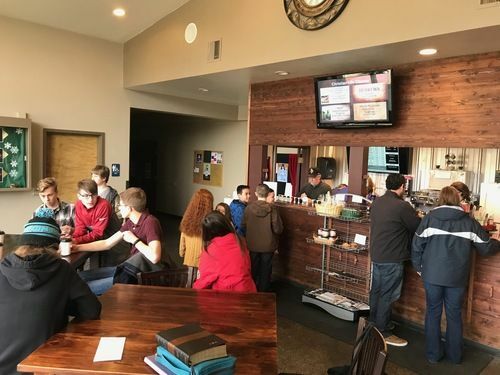 In the lobby of the Gym building we have a coffee bar that is open prior to every Church service. We also use the coffee bar for a once a month event called "Coffee and Conversation". This is a great event for a free cup of coffee and a chance to get to know our church and leaders better. 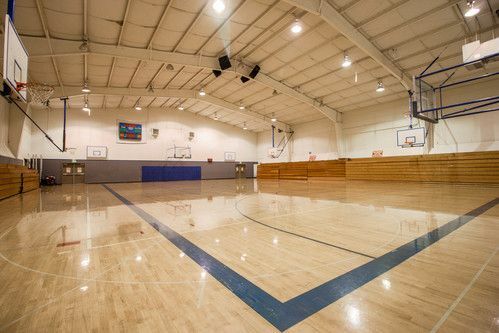 Lastly, the Gym is home to our Sunday School classrooms that meet at 9:15am every Sunday.